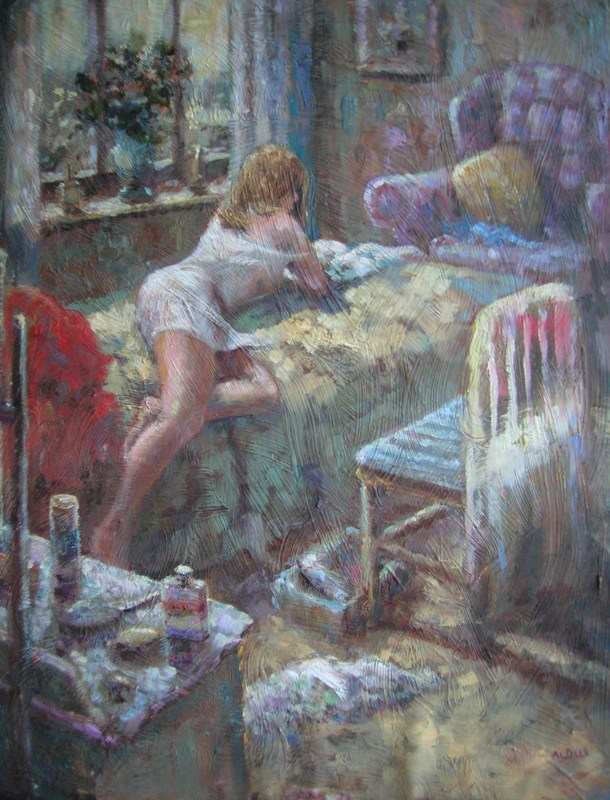 ORIGINAL HIGH OIL PAINTING "Parallel lives". BY THE FABULOUS ARTIST DAVID ALDUS. This recently found older painting (old collection recently acquired)................ Highest price received for one of his paintings is £14,000. "Lot's Wife". Absolute investment opportunity! Measurements height 16 inches by 20 inches.